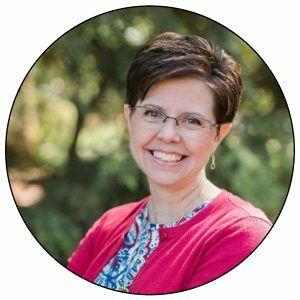 Sonya is a homeschool mom with 20 years of experience, and delights in sharing practical and encouraging ideas with homeschool parents. Her gentle and straightforward presentations will meet you where you are and leave you uplifted for continuing on, whether you need tips for smoother home management, ideas for challenged learners, or specifics on the Charlotte Mason method. Come and meet Sonya this spring to get a fresh perspective for your homeschool! When Sonya realized how Charlotte Mason defined strong-willed vs. weak-willed, it completely changed her attitude toward her children. If you feel like you are constantly butting heads in a battle of the wills, this session could revolutionize how you view your child. Discover helpful ideas that can relieve the tension, refresh your perspective, and restore the peace. Give your child what is most important. Instead of academic or social pressures, Charlotte Mason encouraged mothers to give their little ones a full six years of developing good habits, getting acquainted with nature, exploring with the five senses, growing in their spiritual lives, and more. Learn how to give your child a quiet growing time. After diagnosing her youngest daughter with autism, Sonya found herself in a spiritual valley. Though your valley may look different, the giants that she encountered there may seem eerily similar to your own. Learn what Scriptures the Lord used to help her overcome five giants in the valley: the giants named Fear, Faltering Faith, Uncertainty, Guilt, and Self-Pity. A mommy-to-mommy challenge about priorities in your home school. Sonya shares six ways to reach your child’s heart—taken from Elizabeth’s example in Luke 1—and four obstacles that can keep us from reaching the heart. Yes, we want our children to have good habits, but many of us parents struggle with habits in our own lives. Take a look at four powerful pictures that give insight into how habits are formed and what to do about your bad habits. Learn the three most important words to keep in mind when habit-training. Discover how to instill your own good habits that will serve you well and help your days run smoothly.